Alia Bhatt treated UK and worldwide audiences with yet another stellar performance in Dharma Productions’ and Junglee Pictures’ Raazi. With this film once again, the actress’s choice of films and acting prowess has positioned her amongst the biggies of Bollywood in a short span. Directed by Meghna Gulzar, the film is produced by Vineet Jain, Karan Johar, Hiroo Johar, Apoorva Mehta and Priti Shahani. Bhatt portrays the role of an Indian girl called Sehmat in this spy thriller, who marries a Pakistani Army officer. Speaking to BollySpice, the young actress opened up about the film and playing this challenging role. Were you nervous about the release of Raazi? I was a bit nervous and curious whether audiences will like it. It’s been almost a year since my last release, Badrinath Ki Dulhania. Everytime a film is about to release, I go through the same emotions. However, I believe a good film will always be successful. Raazi is not a fictional film. It’s based on a true story. There was never any discussion about which gender should play the role because it as a female who accomplished what she did. It’s a story of a young girl who did those things for her country so it had to be portrayed by one. Raazi is very different from you recent movies. Did you have to undergo workshops and special preparations? We did do workshops but the feeling on set cannot be replicated once you are actually performing. No amount of preparation can equate to what actually happens when you perform. I feel the preparations for a role can only be technical. I don’t think anything else really helps my performance. It may help you physically, but emotionally you have to feel it in the moment. I don’t know the real reason why exactly but I was trying out Instagram Stories at that time. I did also just really enjoy making this film. It was a lot of fun behind the scenes. The UK diaspora usually steers away from political themed films. Are you concerned that there might an audience that will be alienated due to the subject of the film? I don’t think that any audiences will be alienated. 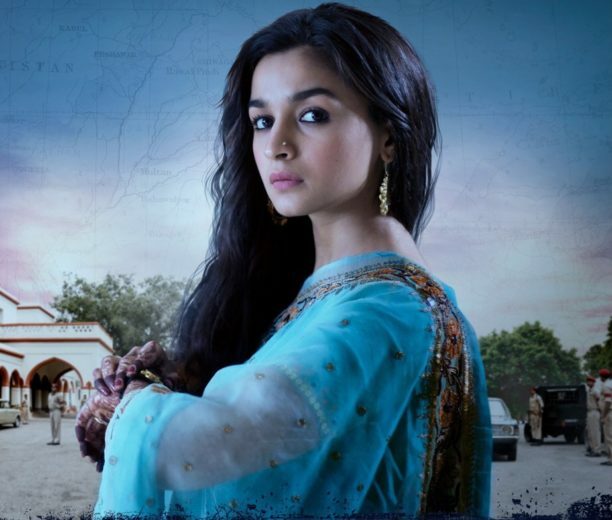 Raazi can’t be compared to any other films which had patriotic or war themes, primarily because its a true story. There is just no reference point, hence we can’t make comparisons or assume what will happen once the film is out there for everyone to see. I do feel the film is a like a biopic but since the central character is anonymous, it is different in a sense, which is why it’s extremely import to inform everyone of it being a true story. It actually happened but we just haven’t’ heard of her. We all mostly know of Bhaghat Singh but we also need to know about unsung heroes like Sehmat who have given their lives for India.